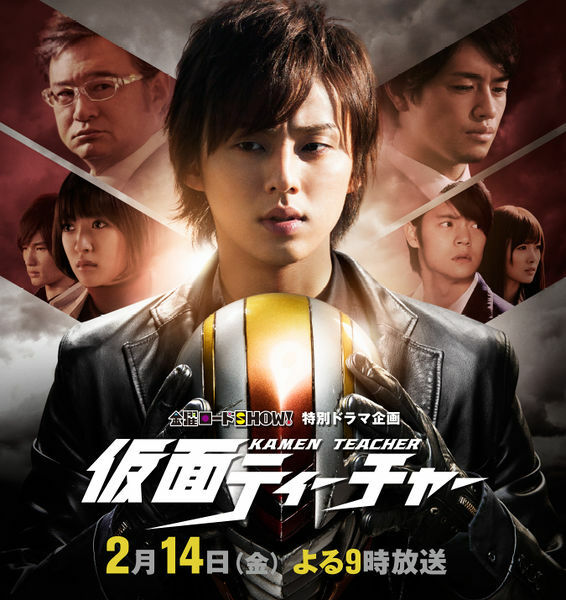 Cast: Fujigaya Taisuke, Shiraishi Mai, Watanabe Natsuna and Kubota Masataka. This special is right after Araki Gota (Fujigaya Taisuke) loses his student, and is sent out to Kaku Gakuin. A month ago a female student fell from the school’s rooftop, presumed as a suicide, and because of that her boyfriend Amakawa Atsushi (Kubota Masataka) firmly believing it was an attempted murder, the school is terrorized by him and two of his fellow students. Compared to the drama I kind of liked this special a bit more. I don’t know if it is because of the actors are better at acting compared to the idol/newer kind of actors in the drama, but the overall special was very good. The idea of the ‘Kamen Teacher’ or ‘Masked Teacher’ is a dumb idea and honestly doesn’t make sense, but besides that the storyline is completely true to the current issues of the educational system. Japanese High School dramas usually are about the special cases or/and classes, but this special talks about the most current one: teacher-student relations. The drama does it too, but there is just too much Yankee all over that drama, it becomes over-seen. If you have watched the drama and liked it, this special will be a nice treat. Though if you haven’t, it’ll still be okay to watch.